Mauro ICARDI had two goals to his name in Inter’s 3-0 win against Lazio. A predator like finish by ther Inter captain gave his team the 1-0 lead. 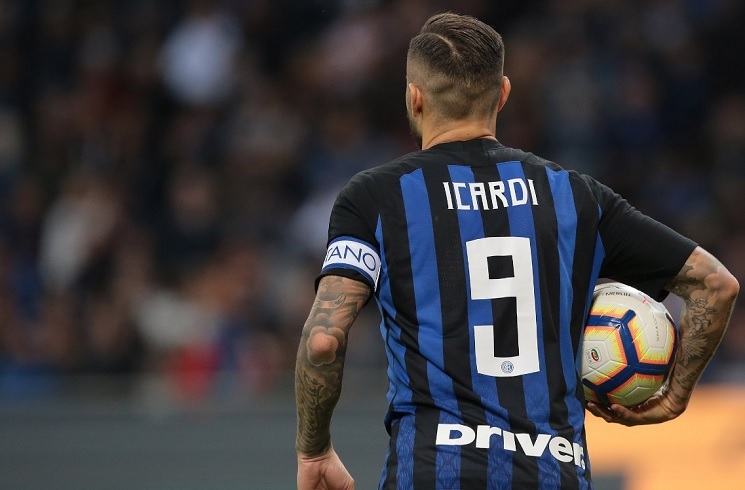 ICARDI pounced on a loose ball inside the penalty area and scored from close range for his fifth goal of the Serie A season. With the score at 2-0, ICARDI received the ball in the area, sent the defender the wrong way before shooting past the goalkeeper and making it 3-0, sealing the win. the good news is the mids and defense seems to be getting better but the bad is the attacking part from the mids is not yet working-a little more time is needed for that. we have a striker in icardi who does take these chances but currently he is getting zero real chances for the n/t for him to score, this has to change and we need to start creating far more chances. My reason why exequiel palacios should join Real Madrid cause it is very much possible he will be in the starting XI. Real Madrid only have 3 CM in their midfield. Kroos Cabellos and Modric. others like Ascensio, Isco and Vasquez is either CAM or Winger. from this 3 CM Modric is almost at the end of his career. He might leave at the End of the season. on the other hand Kroos is very slow and also his stamina is a big concern. exequiel palacios is not the player Kroos or Modric is but his Stamina, Pace and Pressing ability is better than them because he is young and energetic. this may give him an edge as most of the Coach in Europe prefers this attributes over others. The Hard Truth. Lots of you may not be able to digest this. We need Icardi and Messi behind him. They need to play 10 games together. 2 or 3 games wont make the pair. These 2 are actually our future. Yess Messi is still the future as a play maker, we dont have a better playmaker than him. Heck… No team in the world has better than him. And Icardi should not be benched or subbed at any stage in the game. 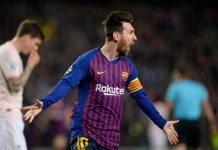 He is the only.. And i mean it when i say ONLY Argentine who can change the course of the game at any point even if he is not playing well or the team is not playing good. He is a rare breed in today’s football. He can save us or win for us even in the Dying 93 minutes. I hope Scaloni keeps him and try him with patience. Defend with 9 players and keep Icardi and Messi up for fast break counters (Maradona and Caniggia/Bati Style). Our defence is being sorted we also need to attack. No way. First Lautaro Martinez needs to get like Icardi his 5 starts or so. He might be better choice for Argentina. When it comes to must score situation. Martinez is definitely No.9. It’s between him and Icardi. They will not play together. Lautaro with Messi will be lethal. shOvwar: agreed with you on icardi, he is a rear breed in the bati type mold. shOvwar: agreed with you on icardi, he is a rare breed in the bati type mold. Pablo we need to stick to him. If he start getting supplies its over. He is a predator. He could be the new era Batigol. He has the potential. Hmmm… I think Dybala should play as a second striker rather than a CAM with Icardi. Let Lo Celso be the CAM. Hulk is gonna to be selected in Brazilian team.He changed himself completely. He can handle two defenders easily.What these Brazilian eat?Argentina needs to take good care for their players.